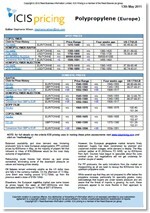 The ICIS Fatty Acids report is produced for Asia, Europe and the US. All regions cover a variety of grades and these unbiased price assessments are published weekly by our locally based reporters. 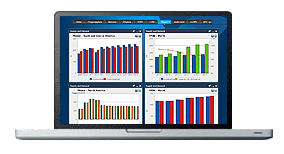 News and market analysis includes information on demand, supply, production issues, feedstock developments and graphs, plus any other key factors driving market prices at the time. Use this invaluable independent market intelligence to assist you in making crucial business judgements. In the US, C18 stearic and oleic fatty acid supply is expected to continue to trend to a finely balanced market amid sustained demand in most end-use sectors. Feedstock fats and grease market direction is uncertain for the third quarter, as some of the prices direction will depend on the outcome for the biodiesel industry and their production rates. Stable conditions are expected to prevail in the European fatty acids markets. Supply and demand fundamentals in both the palm and tallow-based stearic and oleic markets are expected to continue at steady levels from Q2, players in both markets have noted recently. Players will continue to look to upstream trends in feedstock palm and tallow prices during Q3 negotiations, but early quarterly agreements have largely been settled at rollovers from Q2 levels. Asia’s fatty acids market faces an uncertain quarter. Buyers have remained cautious as palm oil prices are expected to soften further in the second quarter of 2017 as production recovers further. Fatty acid prices saw some upward support as producers lower plant utilisation due to sluggish demand, but it remains to be seen how long producers will maintain their current operating rates. We offer the following regional Fatty acids analysis and news coverage to keep you informed of factors and developments affecting prices in the Fatty acids marketplace. 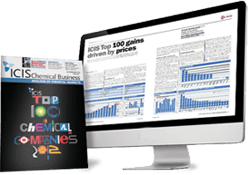 Over 25 years of reporting on key chemicals markets, including Fatty acids, has brought global recognition of our methodology as being unbiased, authoritative and rigorous in preserving our editorial integrity. Our global network of reporters in Houston, London, Singapore, Shanghai, Guangzhou, Mumbai, Perth and Moscow ensures unrivalled coverage of established and emerging markets. Fatty acids are largely derived from vegetable oils such as palm and coconut oil. Most fatty acid production originates from southeast Asia, particularly Malaysia, Indonesia and the Philippines. Fatty acids are produced from natural fats and oils such as coconut and palm oil, tallow oil, soya, rapeseed and tall oil. The use of different oils allows the production of acids with differing carbon chain length distribution that can characterise a fatty acid into groups according to the main chain length. The main use of fatty acids are in the production of soaps, detergents and surfactants used in products such as shampoos, liquid detergents, body lotions and toiletries. They are used in the manufacture and compounding of natural and synthetic rubbers to obtain the best processing and vulcanisation characteristics. In food they can be used to produce monoglycerides to act as food emulsifiers.